Cake Eyeliner adds a vibrant and amazingly defined look to various eye makeups. Commonly used by makeup artists, this amazing beauty gem play vital role in making small eyes look larger, larger eyes look smaller or to pop up the hooded eyes. Moreover, your cake eyeliner has the effect of adding to the white of the eye in order to create a seductive and appealing look. There are numerous ways to apply it. Select the one that best suits your face shape and applied eye makeup. Cake eyeliners can be either dry or wet. Select dry cake eyeliner for Smokey look and wet one to attain simple and sophisticated look. The application of cake eyeliner is not difficult at all, but it does require proper know how of putting it on and some practice. Take a thin eyeliner brush and lightly wet it with some water. Now dip the brush into your cake eyeliner and gently rub it around for few seconds for application. Sit in proper and comfortable position in front of your mirror and look upward so that your eyelids are exposed properly. Use your index finger’s tip to gently pull your upper lid away from the eye. Now, grip the eyeliner brush with a steady hand, place its tip on your outer eyelid and draw a straight line across the entire eyelid, moving to the corner (inner) eyelid. Now if you want to more dramatic look, simply drag the line a bit out to make a tail at the end. Use the bush to blend and fill the missing areas of the eyelid and leave it for some to dry well. 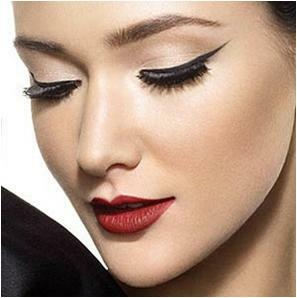 Keep the thickness of the applied eyeliner according to your desire. 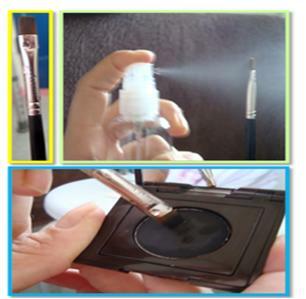 Use some water to light wet the eyeliner brush again and dip it into your cake eyeliner for few seconds. Now, use your finger tip to pull your lower lid away from the eye and then use the other firm hand to draw a fine line along the entire lower eyelid, starting from the outer eyelid and moving inward to the corner eyelid. Light blend it with the brush and wait until dry. If you like to create double-lined cat-eye look with your cake eyeliner, simply start apply the eyeliner from the inner corner of your upper eyelid and gently take it to the outer corner. Now drag it a bit outward to create a tail look. 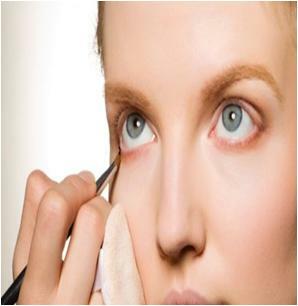 Now dip the eyeliner brush in the cake eyeliner again and place it in the center of lower eyelid. 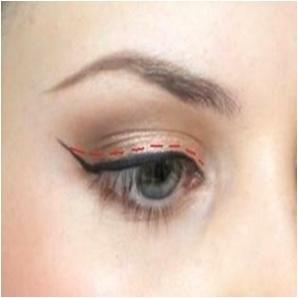 Start drawing a liner towards the outer corner of lower eyelid and drag it a bit outward. 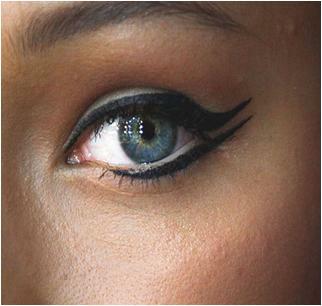 Your Double-lined cat-eye look is all set to go; leave it for some time to dry.